Game publisher CAPCOM recently announced that the latest update of popular video game Monster Hunter: World will finally release the Witcher 3 collaboration content. The new update, update 6.0, is now available on both PlayStation 4 and Xbox One consoles and it will include a very familiar character from The Witcher series: Geralt of Rivia. In the game, he gets “invited” in the New World via a portal, but he is not alone in the journey. Several other monsters come along like the ancient Leshen. 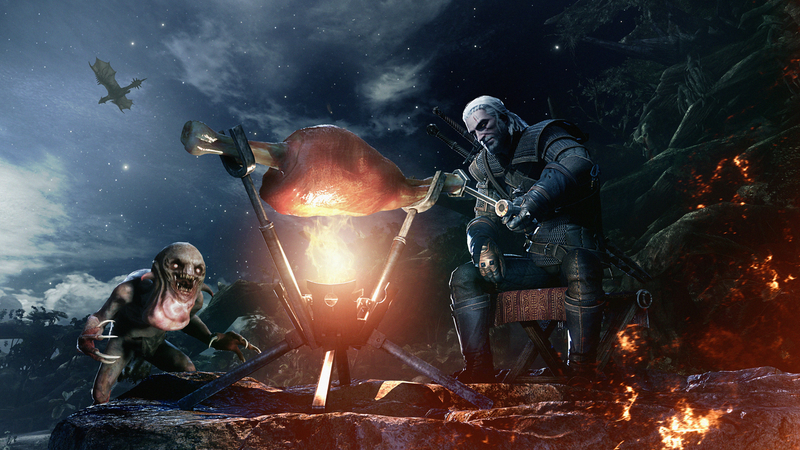 This time around, Geralt will help the hunters bring it down. Even Ciri makes an appearance here out of nowhere. The first part of this collaboration puts you in Geralt’s boots and gives you all-new mysteries to solve and gear to craft with the Special Assignment “Contract: Trouble in the Ancient Forest”. After you complete the assignment, the Geralt α full armor set will be available for crafting, as well as the Sword & Shieldweapon Witcher’s Silver Sword for your Hunter. And for your Palico, the Nekker α full armor set and Cursed Staff α will show up in the Smithy’s list. For players who complete the first assignment will be able to take on the second one. This is a limited time event that will only occur from Feb. 15 to March 1. This is the Contract: Woodland Spirit. This will be set for HR50+ hunters and open to multiplayer, which allows others to join in to take down the Leshen. For those who win, they will be rewarded with a Ciri full armor set and some dual blades. Geralt has the ability to use his silver sword for monsters and also his sign abilities like Quen and Igni.